Beginning of this year, I’ve started a blog ‘Kiddie Foodies’ in order to share creative, healthy and fun recipes that I am making for my daughter. I usually cook the same meal for the whole family, and then just change the ‘presentation’ for my daughter. Kids sometimes need to eat with their eyes first, and if there is something cute on their plate they are more willing to try it. This strategy works perfectly for my daughter and it helped her to discover and taste new food – vegetables and fruits – in a pleasant way. Hope that you’ll come to visit me at www.kiddiefoodies.com and find some inspiration on how to feed your little tummies and have fun at the same time! then add it gently to the white and mix with a spoon. on 180C/360F for around 10min, until golden. The ovals need to be hard enough to cut them, should not be wet inside. 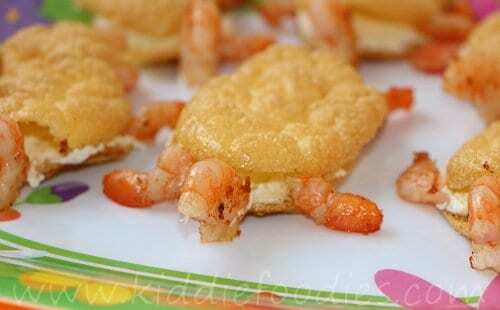 them with a spoon frequently so that both sides of the shrimp get cooked. Cook them over high heat for 3-4 minutes. and head. Cut shrimps if needed to adjust the length. Enjoy! Separate the egg white from the yolk. Whisk the egg white until it stands up in well-defined peaks. 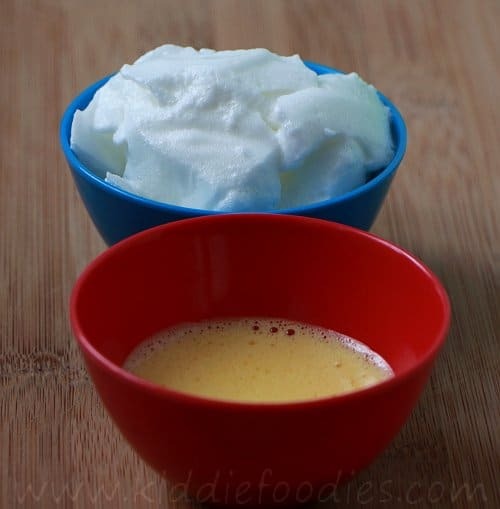 Mix the egg yolk and then add it gently to the white and mix with a spoon. 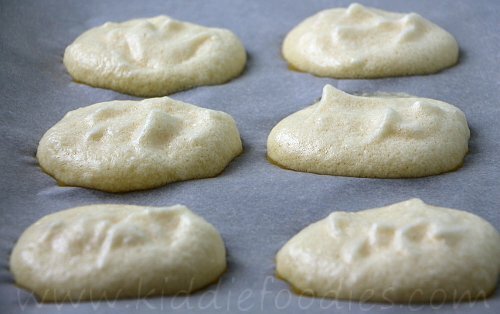 Use a spoon to place the mixture from above onto the non-stick baking paper, shaping ovals. Bake in the pre-heated oven on 360F for around 10min, until golden. The ovals need to be hard enough to cut them, should not be wet inside. 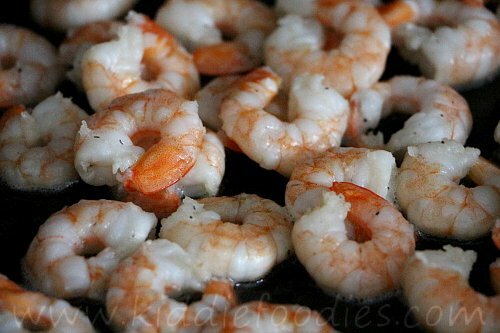 In the meantime, coat the bottom of the pan with olive oil and add smashed garlic.Put shrimps into the hot pan and stir them with a spoon frequently so that both sides of the shrimp get cooked. Cook them over high heat for 3-4 minutes. Cut each oval from above lengthwise and spread it with cheese inside. 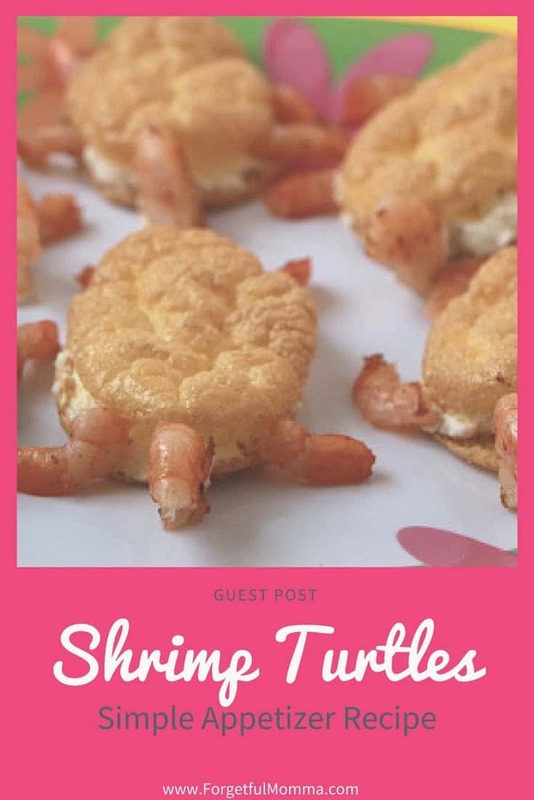 Place shrimps around each oval to make turtles legs and head. Cut shrimps if needed to adjust the length. OMG! This is so cute. I am so excited to make this and show it to the kids. I know they’re going to love it. Thank you so much for this wonderful idea.